At bars in Brighton Beach, Brooklyn’s Russian (and Ukrainian) neighborhood, there’s no casual way to drink vodka. I speak from experience: On a recent spring night, waiters hovered over us to make sure we drank the vodka in the proper Russian fashion, a slice of pickled cucumber in hand waiting for us to finish drinking our tiny goblet-like shot-glasses of ice-cold vodka. 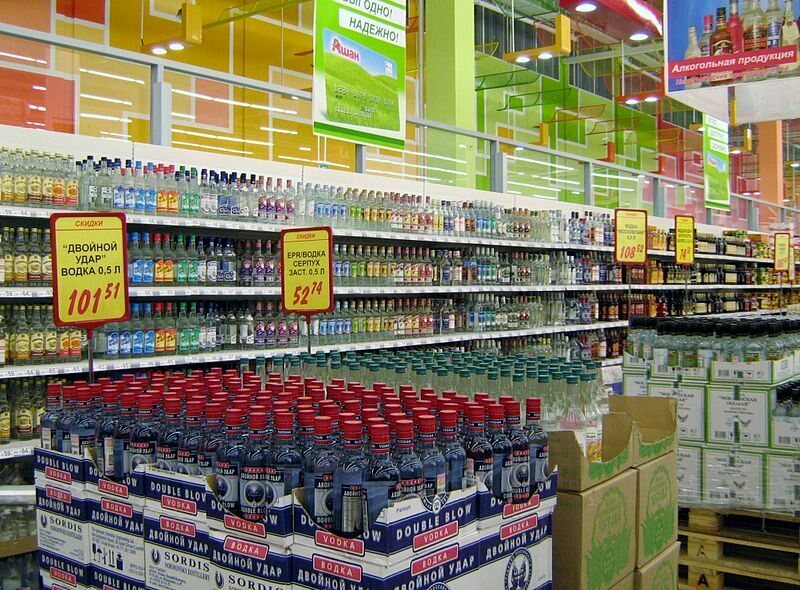 Drinking rules vary greatly throughout the world—from Korea to Mexico, different beverages have different rituals. If we look more deeply into any of these, we can learn not just how people around the world partake in the near-universal consumption of alcohol, but also get some insight into the people themselves: the traditions, the history, and their character. Considering their trademark alcohol is known to be colorless, odorless, and flavorless, the mores of Russian vodka etiquette is anything but bland. 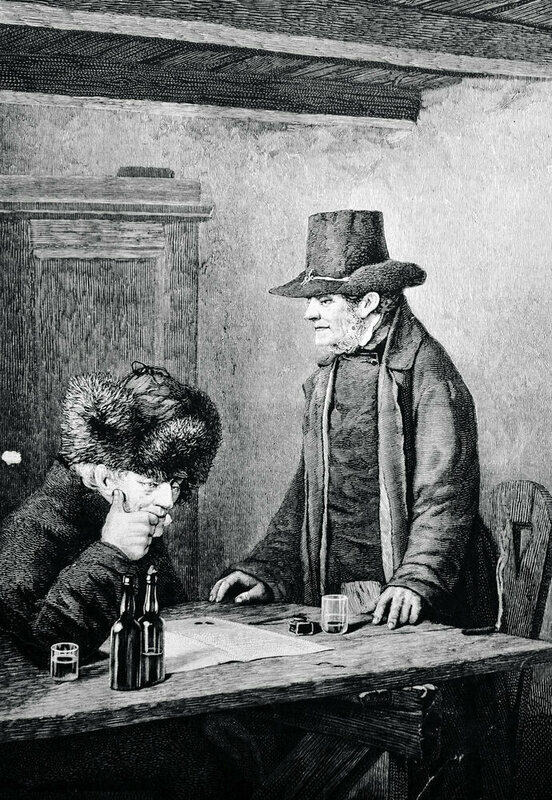 To talk about Russian vodka etiquette we have to first talk about who invented vodka, a surprisingly contentious debate. Patricia Herlihy, a professor emeritus at Brown University, author of Vodka: A Global History and The Alcoholic Empire: Vodka And Politics In Late Imperial Russia (about the latter, the wry and funny Herlihy says “despite the title, it was a very dull book”), says there is no consensus. “Nobody knows who first invented it or whether it was simply appropriated,” she says. That hasn’t stopped Russia and Poland, the two countries who both claim vodka as their national drink, from fighting sometimes legal battles over the origin of the spirit; Vice produced a documentary on the subject. Vodka is a distilled spirit made traditionally of grains like wheat and rye, and more recently of potatoes. It’s possible that a Russian, a Pole, or even (less likely, but still possible) a Ukrainian came up with the idea, but Herlihy thinks it’s equally likely that the process for distilling liquor came from an interloper: Genoese traders, maybe, or German explorers, or some random group of European mercenaries. 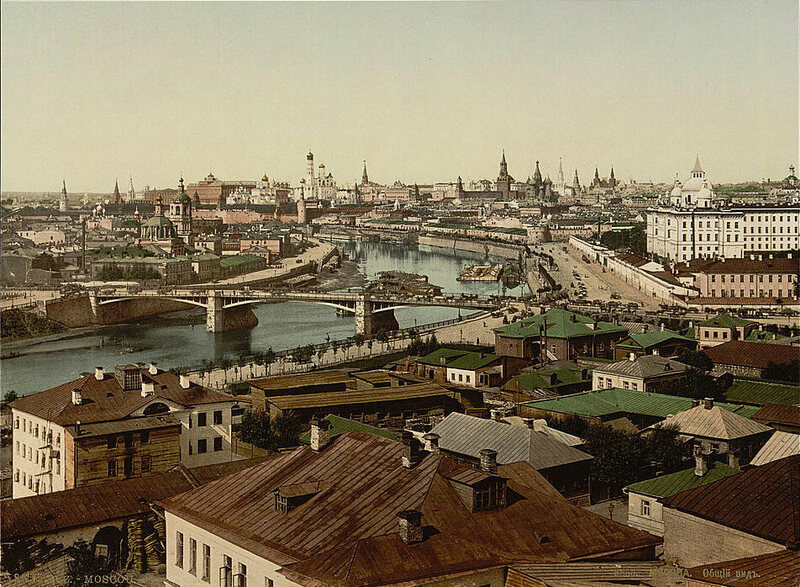 Regardless, vodka has been made in Russia (and Poland) since at least the 14th century. As with other national alcoholic beverages, be they rice liquor or whiskey or wine, Russians drank vodka because the raw materials—cereal grains—grow readily in their territory. Grapes do grow in the southernmost parts of the Russian Empire as it has usually existed, most notably in the country of Georgia, but these areas are small and could hardly supply the vast Russian territory with booze. Beer, though also made with cereals, has really only caught on in very recent decades: “Frankly I think they wanted to get a kick right from the beginning,” says Herlihy, by way of explaining why such a high-alcohol beverage became the drink of choice for Russians. Russian vodka, and Russian drinking culture, is remarkably consistent across the vast Russian territory. In fact Russian culture in general has very little regional variance. “Oddly enough, Russia doesn't have dialects, even,” says Herlihy. Compared to a place like Italy, a country with a tiny fraction of the land mass but wild variation in language, cuisine, and culture, there really is, for the most part, one Russia. Herlihy attributes this to a general consistency in climate and topography, much unlike, say, Italy, and also to a historically strong and centralized government in Moscow. Cities like Moscow and Novosibirsk, a whopping 1,700 miles apart, have much more in common, than, say, New York and Chicago, which are separated by less than half that distance. This is all to say that Russia very much has a consistent vodka drinking culture, that it’s much more stable and understandable than most other drinking cultures. But taken as a whole it’s also extremely different than, say, wine culture in France, beer culture in the Czech Republic, or bourbon culture in Kentucky. There are rules, and those rules must be respected. The biggest thing to understand about Russian vodka culture is that vodka is never, ever drunk without a reason. Partly this is because the alcohol content is so much higher than with alcohols like wine and beer that it would be sort of dangerous to treat them the same way; an everyday dinner in Russia is not accompanied by vodka the way an everyday dinner in France comes with a glass of wine. So Russians instead will only drink when there’s an occasion, though those occasions can sometimes be more legitimate than others. A wedding, a funeral, the birth of a child, a business deal sealed, a religious/national/local holiday, a successful harvest—these are all appropriate reasons to drink vodka. Many of these reasons have to do with the harvest cycle of the grain used to make the drink; holidays tend to cluster in the late fall and winter, just after harvest, when vodka is readily available. (As to which came first, the vodka or the holidays—who knows.) Sometimes the drinking purpose is silly, a tendency Russians are aware of and make fun of. Herlihy told me a story of a Russian man on his way to see his girlfriend who made it a point to drink in honor to each individual electric lamppost on his long journey. “You wouldn’t randomly drink, you wouldn’t say, ‘Hey Ivan, come on over and we'll have some beer or some vodka tonight,’” says Herlihy. And how else would you know if there was a reason if you don’t mention it, repeatedly and at length? So toasting is incredibly important in Russian drinking culture. The word for a toast in Russian is “tост”, which is pronounced… “toast.” It comes from the English word “toast.” These celebratory statements may start out simply—”to our host!”—but can quickly spiral from there into verbose meditations on honor and pride and family and friends and country. “The more ornately and the more eloquently you can express that occasion, it confirms that it's very special,” says Herlihy. Many Americans will semi-jokingly attempt to perform a Russian toast by saying “na zdorovie,” pronounced something like “nostrovia.” This does not mean “cheers” or “to life” or anything like it, and it’s unclear why it’s so penetrated non-Russian cultures. (It means “you’re welcome.”) But there are plenty of kind of stock cheers, many of which are collected here. Immediately after toasting but before drinking, most Russians will perform a very loud and obvious exhale, which is supposed to have some mitigating effect on a hangover. Unlike some drinking cultures in East Asia, especially Korea and Japan, the rules for pouring vodka are not quite so strict in Russia. 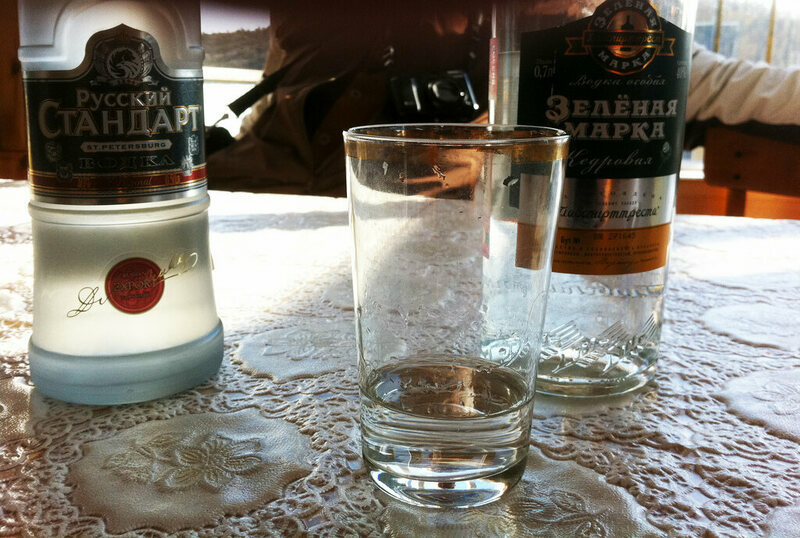 Typically, writes Jenya Banks over at the Russian Language Blog, you’ll pour for others before yourself, and rarely if ever pour a single shot for yourself and nobody else. And yes, a shot. Vodka is not served in a martini, or a gimlet, or a screwdriver; in Russia, vodka is drunk all by itself, ice cold, and in a shot rather than sipped. “They would never think of putting vermouth in it, or cranberry juice, or orange juice, or anything like that,” says Herlihy. 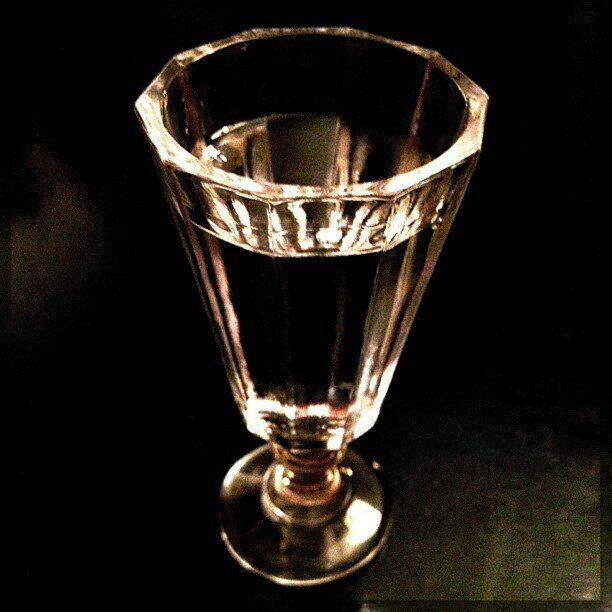 “You drink it neat, in the small tumbler.” Flavored vodka is something else entirely; flavorings have been a part of vodka-making since it was called vodka, but they weren’t today’s cotton-candy or grapefruit or peach flavorings. Vodka is supposed to be flavorless and odorless (at least, in that its flavor and odor are of pure ethanol), but in the early centuries of vodka-making especially it differed wildly in quality. Some was pretty nasty in taste and smell, and so flavors were added. The most popular additions were herbs like bison grass and dill, and the even more popular black peppercorn. (Black pepper vodka was apparently a favorite of Peter the Great.) But even this flavored vodka, still sometimes drunk today, is never mixed: do not ask for Red Bull or seltzer if drinking with Russians. On the other hand, this doesn’t mean Russians don’t like mixing vodka with other flavors. Food is a fundamental part of any Russian vodka-drinking activity and vodka is never, ever drunk without food. This would be improper! And, according to Russian superstition, you want to give the vodka a little help so as not to burn up your insides. There are many traditional food accompaniments to vodka, sometimes referred to aszakuski, though zakuski can be eaten without vodka. These are, basically, snacks: pickled vegetables and fruits like cucumbers, cabbage, and mushrooms; cold meats like tongue and chicken liver; acidic salads of tomato and cucumber; dried and cured fish; open-faced sandwiches containing all of the above. Vodka and zakuski is one of the truly great drinking pairings anywhere in the world: the harshness of the vodka, regardless of its quality, is mellowed delightfully with fatty and acidic foods. The most common? A simple slice of pickled cucumber. It is also considered important to always finish an opened bottle of vodka, and not to leave any undrunk. Herlihy says she noticed that Russians will also place empty bottles under the table rather than somewhere in sight. As for why, she had no idea, but it might be of a group with the loud exhale after the toast. “They're very superstitious, the Russians,” she says.